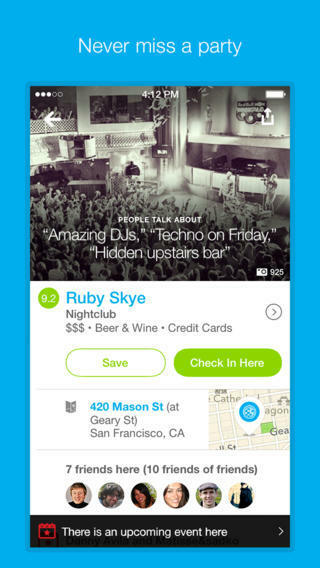 Foursquare on Thursday was updated to more closely match the design language of iOS 7. 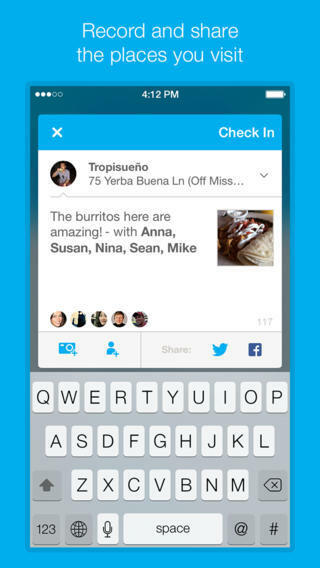 Coincidentally named Foursquare 7.0, the update is a much cleaner experience, using thin fonts, white spaces, and bright colors to more closely mirror the overhaul Apple’s mobile platform underwent earlier this year. The app itself also received some much-needed enhancements, including a faster experience, better navigation and more emphasis on exploration. 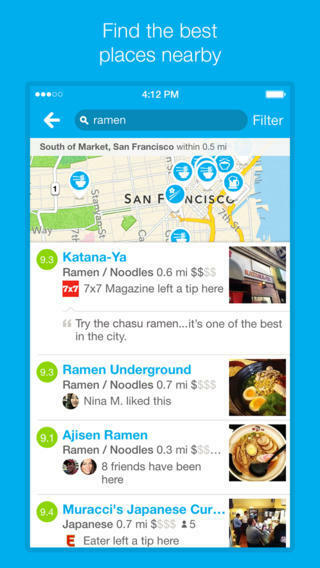 Additionally, Foursquare has also activated push recommendations for users on iOS, an experience aimed at helping users learn more about a particular city or restaurant. 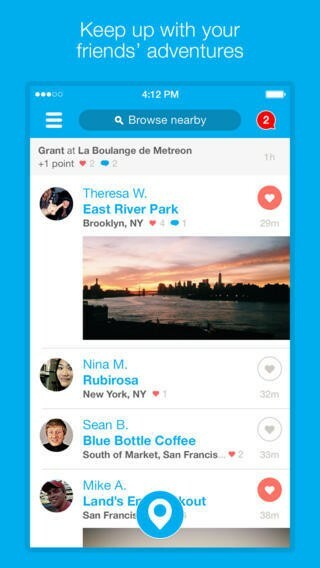 Users familiar with Foursquare on mobile will find that the update also makes it easier to get to your to-do list, which was previously buried; details on nearby places are also more prominently displayed once Foursquare is opened, giving you near-instant information about your surroundings. The app is still focused on helping users find the best places, deals and food, and now it’s even more beautifully presented, with push recommendations to boot. 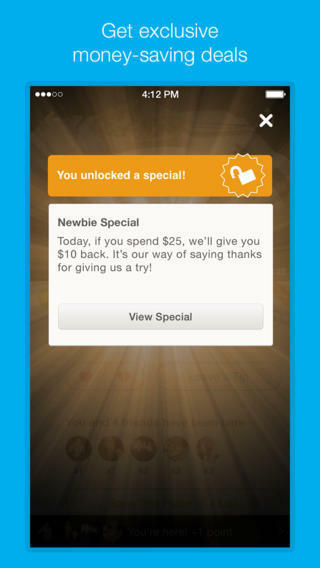 In essence, it’s more Foursquare-y than ever, and should make keeping track of where you’ve been that much easier. I hear that 7-11 down the street needs a mayor.